©Barry Sandland/TIMB – Superlight cargo bikes are creating a new interest. And Denmark is leading the way. Photographer’s notes: I have raved about the Danish Bullit bike before, but the Omnium might be my new Scandinavian love. The strap-bound cargo section makes the cargo far lighter and the racing shape makes the bike quick. I have a love for hybrid bikes that cross the line between work and speed. It was why I bought my first Ridgeback – a messenger bike that was a racing/city hybrid. I was chasing the Omnium up a steady rise out of the city and this one climbed it effortlessly, the rider spinning a gear, his hands draped over the handlebars like a Tour de France solo breakaway. It definitely had speed. 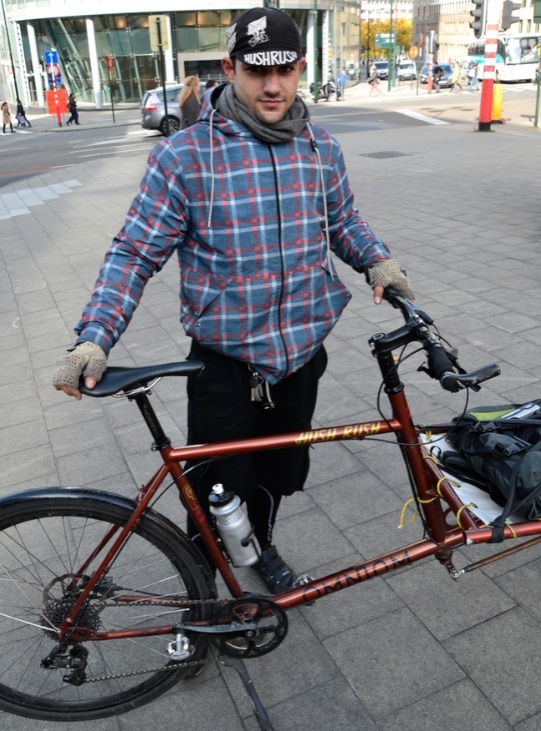 This entry was posted in bike messenger, cargo bike, Europe and tagged 2015, October, Omnium cargo bikes. Bookmark the permalink.